Witchy Words: Samhain / Halloween: Ten ideas for solitary witches! 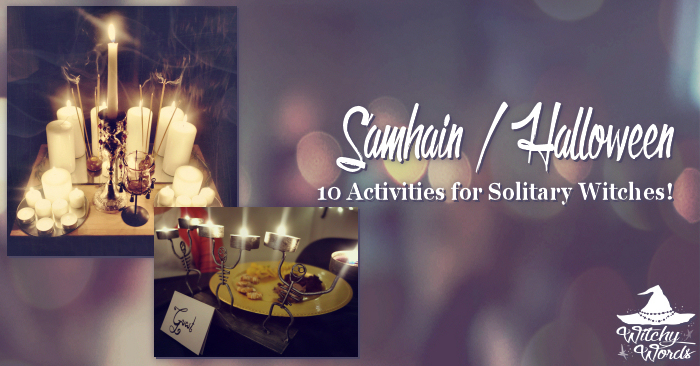 Samhain / Halloween: Ten ideas for solitary witches! 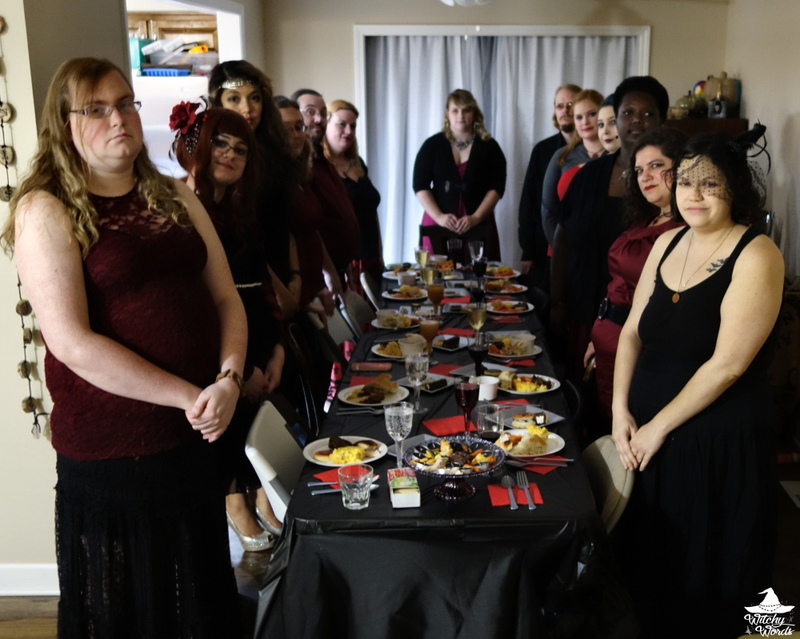 Have a silent supper (or dumb dinner, as it may traditionally be known) and invite a spirit to join you by leaving an empty chair draped in black fabric as I have also done ever year. 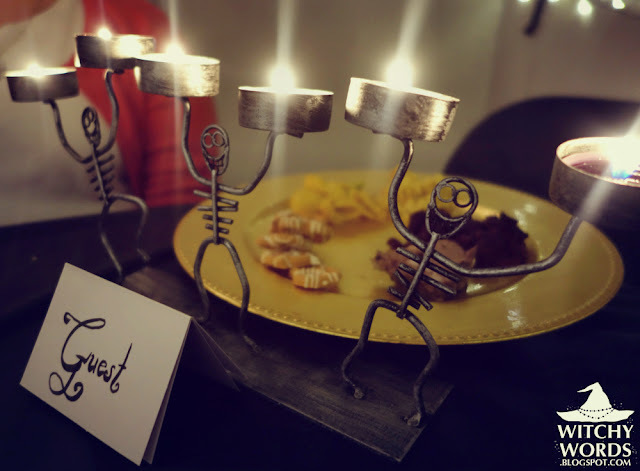 Offer a plate of food and a lit candle to invite your loved one. 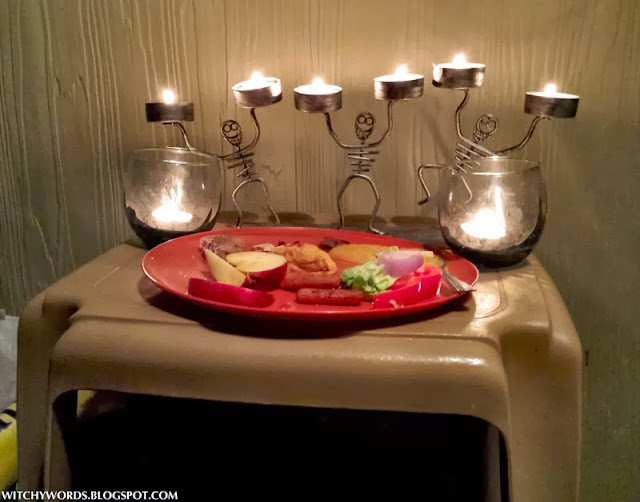 Set out a plate of food to feed the spirits as I have done every year since I've had this blog. If you choose, you can dine next to the plate and then set it outside or simply leave it outside as its own ritual. 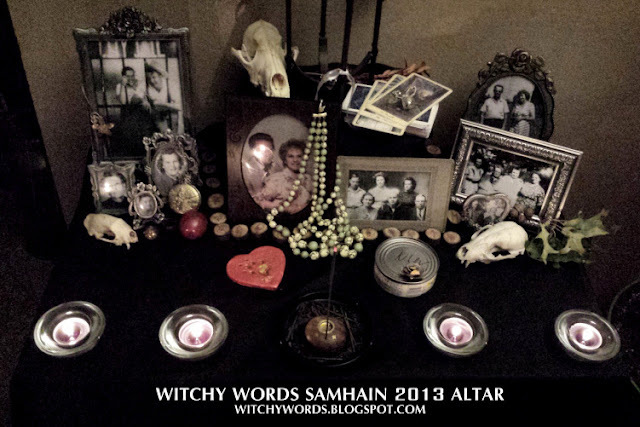 Create a memory altar to honor loved ones who have passed and invite them back as I did in 2013. 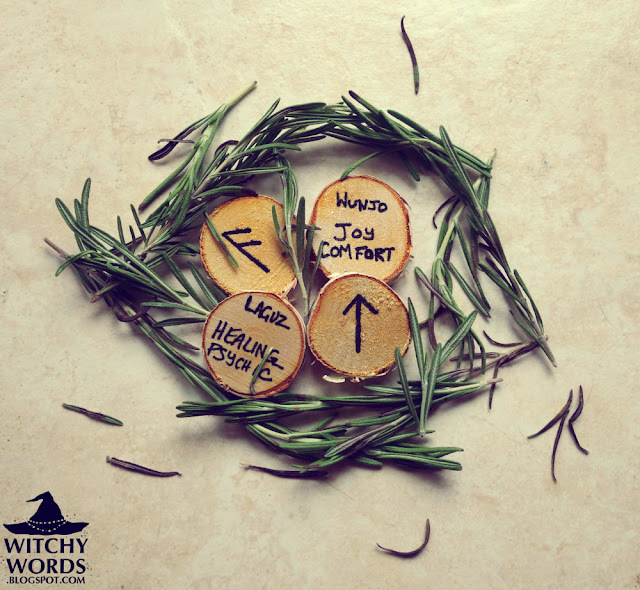 Divination works best when the veil is thin. Pick your tool of choice and divine the future much like we did for our Circle of Open Traditions ritual in 2014 and again with Circle of Fountains in 2017. Braid black, red and white ribbon, string or yarn together in memory of those passed as Circle of Open Traditions did in 2013. The veil between the spirit world and that of the living is thin. 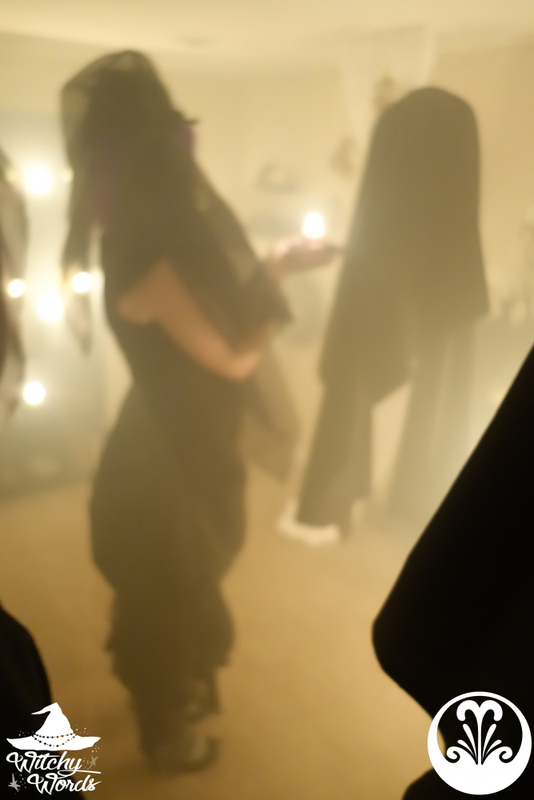 Use this time to converse with the spirits, much as I did for my New Year's ritual for 2018. After all, this is the witch's new year! 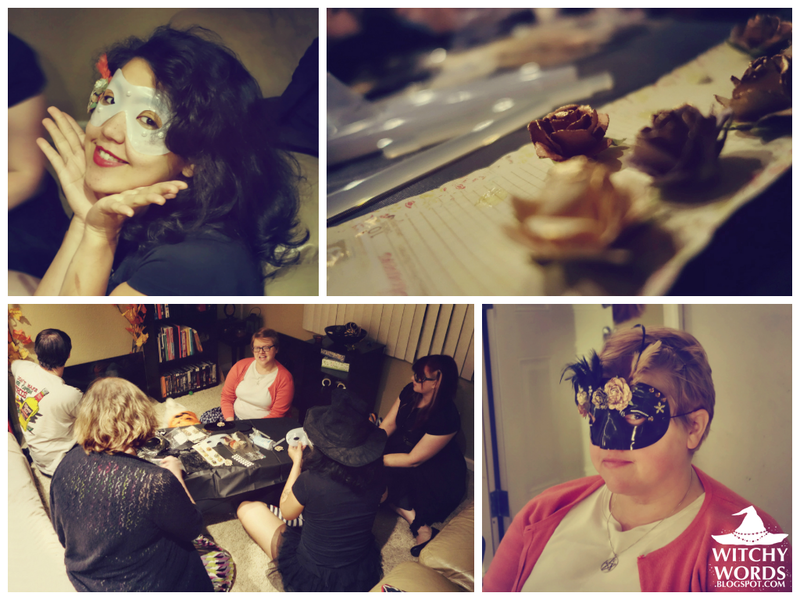 Create a mask to veil yourself from spirits who may wish you harm like Circle of Fountains did in 2014. 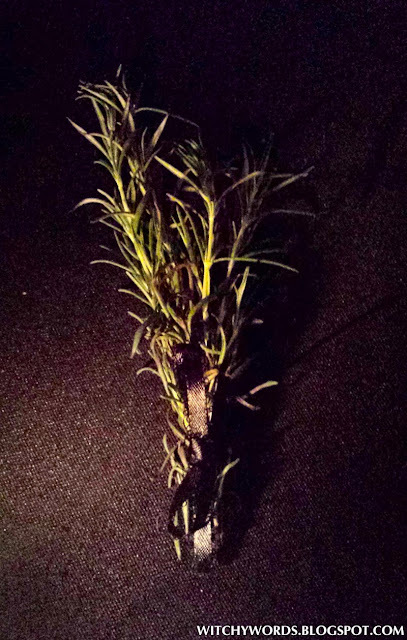 Create a bundle of rosemary or burn one in honor of those who have passed, much like Circle of Open Traditions did in 2013. 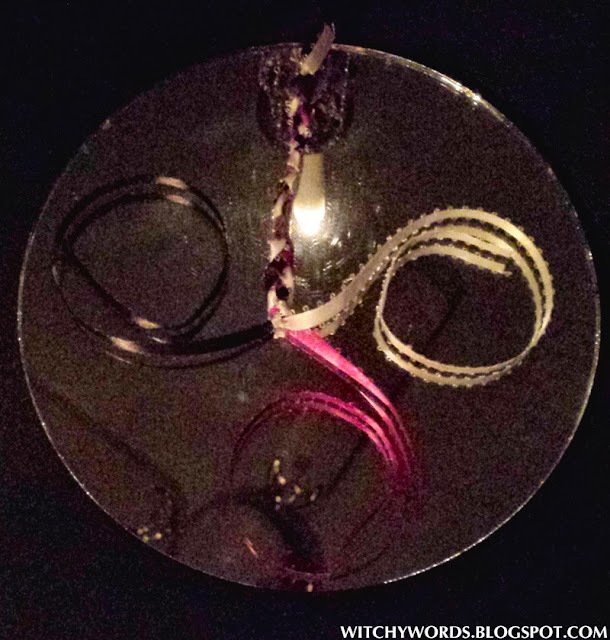 Face your inner demons and your shadow self with a little shadow work much like Circle of Fountains did in 2015 and again in 2016. 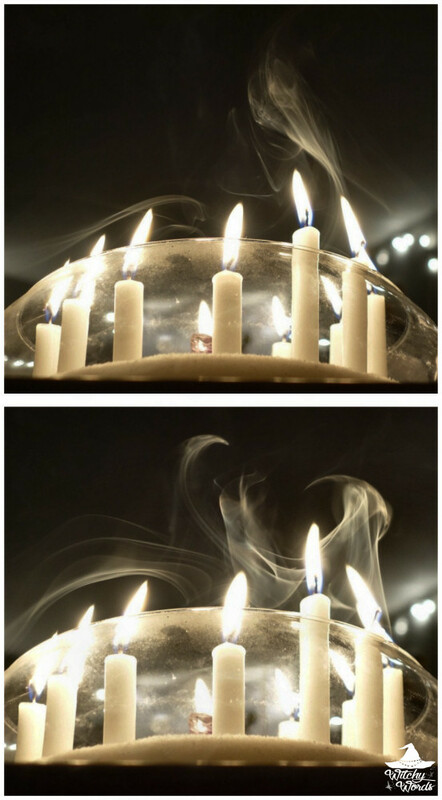 Light candles for the forgotten and unnamed dead, like Circle of Fountains did in 2014. 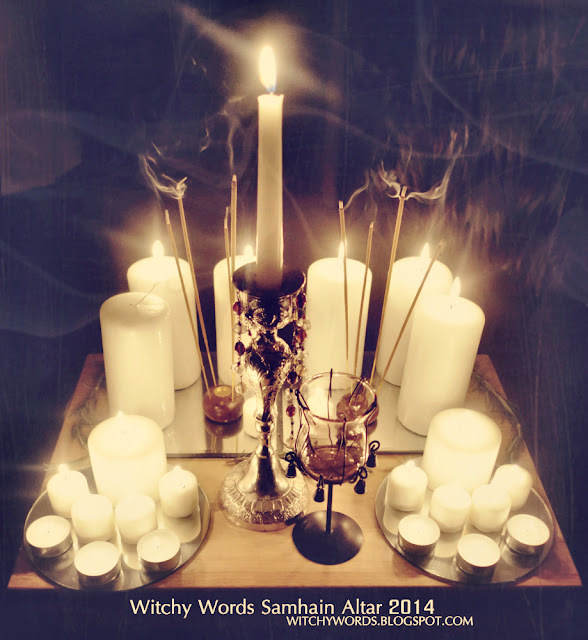 Whatever you choose to do, I wish you a wonderful thinning of the veil for Samhain! I may have to try some of these! I hope you were able to do so, Liz! Thank you!